The System is an American synth pop duo consisting of vocalist/guitarist Mic Murphy and seasoned session keyboardist David Frank. The band was founded in 1982 in New York and backed up by Paul Pesco on electric guitar and Kris Khellow – keyboards, synthesizers. Sometimes the group is referred to as an “emotio-electro” band because of their hi-tech, synthesizer-driven sound mated to passionate vocals and sensitive lyrics. David Frank and Mic Murphy met in the early 1980s while working for the soul/funk band Kleer. Frank had gotten a break when Atlantic Records enlisted him as Kleer’s tour keyboardist. The band’s road manager was Mic Murphy, and although Murphy was obviously aware of Frank’s skills, Frank was unaware Murphy could sing. Later in New York City, David Frank was working on a session that evolved into a track called “It’s Passion” which was to feature a pre-stardom Madonna on vocals. However, due to creative differences, Madonna bowed out. Frank then remembered Murphy and invited him work on it. The results were so impressive that Atlantic Records offered Murphy and Frank a recording deal of their own. Murphy came up with the band’s name, and within weeks “It’s Passion” was receiving massive radio airplay in New York. “It’s Passion” became both a radio and club hit in New York. The interest sparked enough interest for Mirage to give David and Mic an advance for an album. The resulting 1983 album Sweat launched the club hits “Sweat,” “I Won’t Let Go” and the iconic “You Are In My System”, which became a number ten R&B smash. Robert Palmer’s cover of the song became a mainstream rock hit. In 1983 Mic & David also wrote and produced Pump the Nation, a one-off album for a project called Attitude. Attitude featured Khris Kellow, who worked on many of the later The System albums and appears as a member of the band in Beat Street video clip for Baptize the Beat. In 1984 they released their second album, X-periment. Frank’s expertise in recording studio technology gave the material a sound that many felt was ahead of its time. Indeed, the heavy use of synths and electric percussion was a step beyond the dance-influenced flavour of the previous album, and Murphy’s soulful vocals gave the songs a definite R&B flavour. Besides the upbeat electronics-laden tracks, the album also introduced a more mature and pop-friendly quality, evident in tracks such as “Promises Can Break”, “I Wanna Make You Feel Good” and “I Can’t Take Losing You.” The System also appeared in the 1984 breakdancing film Beat Street and the soundtrack performing Baptize The Beat. The title track from their 1985 album The Pleasure Seekers was featured in the season two premiere episode of the hit NBC series Miami Vice. Other tracks on the album include “It Takes 2”, as well as “Love Won’t Wait For Lovin'” and “This Is For You”. In 1985, David Frank and Mic Murphy teamed up with Jeff Lorber to collaborate on Lorber’s album Step by Step. Their version of the Marc Benno song “Rock N’ Roll Me Again” became famous in the 1984 action comedy Beverly Hills Cop with Eddie Murphy. The soundtrack album would go on to win a Grammy. They would also reach No. 23 on Billboard’s R&B chart with the title track from the 1988 Eddie Murphy film Coming to America. All of this success occurred while they were contributing their talents to projects such as the Scritti Politti album Cupid & Psyche 85, Phil Collins‘ “Sussudio,” Chaka Khan‘s “I Feel for You,” and “This Is My Night,” and Mtume‘s “Juicy Fruit,” among many others. The System’s greatest success came in 1987 with the release of the single “Don’t Disturb This Groove,” from the album of the same name. The duo hired Steven Machat and Rick Smith to be their managers. 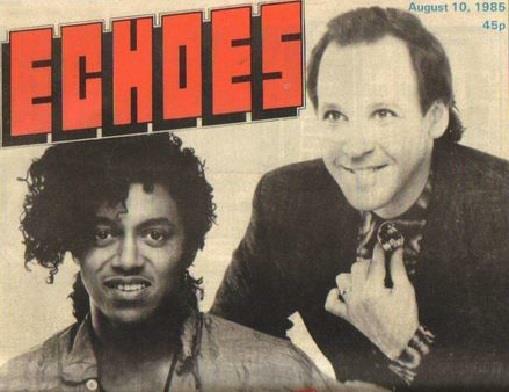 Machat and Smith took control of the promotion and marketing of the duo on behalf of Atlantic and helped the duo achieve their biggest US Pop hit, “Don’t Disturb This Groove”. The single reached No. 1 on the Billboard R&B chart and No. 4 on the Hot 100. The follow-up single, “Nighttime Lover,” was also a top 10 R&B hit, peaking at No. 7. Murphy and Frank parted ways professionally after releasing their Rhythm & Romance album in 1989. Murphy recorded the solo album Touch and charted in 1991 with a single from that project. Frank has found more recent success as a songwriter and producer, most notably for hit singles such as Christina Aguilera‘s “Genie in a Bottle” in 1999, and teen girl-group Dream‘s “He Loves U Not” in 2000. In 2000, the duo reunited for the album ESP, which also featured a reworked version of “You Are In My System,” originally found on 1983’s Sweat. Late 2009 saw the release of Unreleased Unleashed, a collection of prototype and unreleased songs recorded at various points over the span of The System’s recording career. Although two tracks, “Hole In My Love” and “You Are In My System (Redux)”, the previously-mentioned remake of their earlier single, were taken directly from the ESP album. Also, the track “Sonic Fire” was previously released as the B-Side for some 7″ singles of “I Wanna Make You Feel Good” in 1984. 2012 marks a reawakening of the “The System” with new 12″ remix collection of the seminal recording for the Breakdance film Beat Street, “Baptize the Beat”. The 12″ limited edition vinyl will be released on Electroavenue Records in the UK featuring remixes by Funkmaster Ozone, Fleck, Lloyd da Zoid / Diplomat & Sace. The new System album tentatively titled “System Overload” is in full swing and its first single A-side “Motha” and Other-side “The Toast” mixed by legendary “Unique Recording Studio” mixer Chris Lord-Alge who’s association with the band dates to 1983 set to release Sept 2012 with full length to follow in October. The sessions took place in Topanga Canyon’s Canyon Reverb,The Village Recorders and NYC Spanish Harlem SPAHA Studios and with contributions from longtime collaborator guitarist Paul Pesco as well as drummer Steve Wolf aka WOLFADELIC and sound architect Tim K. New Recordings will be released on the bands Science Lab Records.